Exterior sheathing is used to help strengthen the walls of a new home. 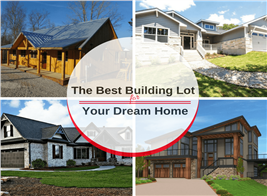 When used in home construction, exterior wall sheathing is very multi-functional. For example, wall sheathing performs the obvious job of providing a surface to fasten siding materials to, but it also works to hold numerous studs together to give the home structural integrity, known as wall bracing. Depending on the materials used, wall sheathing also provides varying levels of thermal properties and is important for HVAC air retention. Because of its correlation to structural integrity, it is important to take wall sheathing materials and methods into consideration when planning a new home build or remodel. 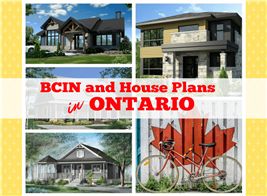 It's something that not many homeowners account for – mostly because they don't know the options that are available. Here are some of those exterior wall sheathing options and how they affect your house as a whole. 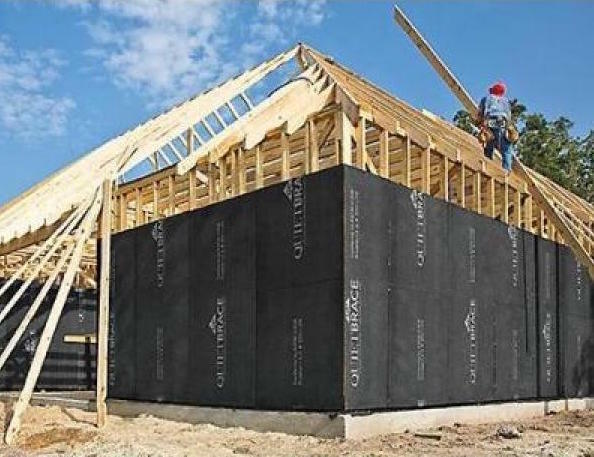 The optimal sheathing choice for most home builders and homeowners alike – mostly because they feel it offers the best combination of durability and cost – oriented-strand board (OSB) panels consist of hundreds of thin wood strands that are hot pressed onto sheets with a resin and wax adhesive. This manufacturing method creates a very durable panel, as the wood strands are applied in multiple layers, with each layer “crisscrossing” as they are laid perpendicularly. The layers are applied until the desired thickness is met, a minimum of 5/16 inch for studs on 16-inch centers or 3/8 inch for 24-inch centers. Oriented strand board (OSB) is made by crisscrossing wafers of wood, building up layers to the desired thickness (Source: Lowes). Many people who choose OSB panels for their wall sheathing do after having narrowed the selection down to two materials – OSB or plywood. Each have their own pros and cons, but OSB costs about one-half the price of plywood. 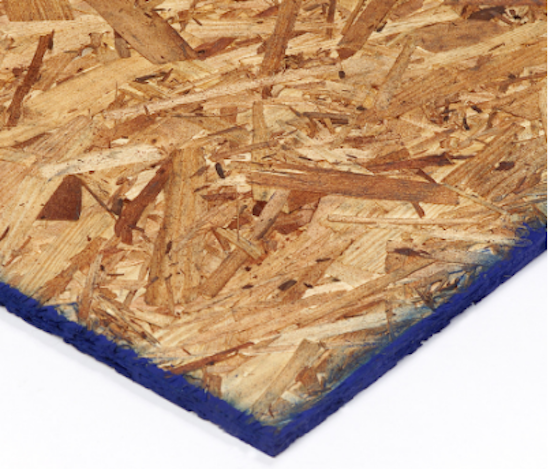 OSB has been known to swell more than plywood when exposed to moisture, and its dimensionally stability (expansion and contraction with changes in temperature) is inferior to plywood. Most contractors state they can counter those issues with proper house wrapping over the sheathing and siding with extra care. This house is typical of those sheathed in OSB. In this case, OSB is used exclusively, rather than piecing in plywood on the corners or in place of cut OSB sheets (Source: Georgia-Pacific). The main reason that a consumer would choose plywood over OSB is because it is more internally stable and thus more resistant to swelling, expansion, and contraction. This is because, in contrast to OSB, plywood is fabricated from whole sheets of peeled wood that are cross-laminated rather than assembled small wafers of wood. In theory, the sheathing on your home should never get wet as long as the proper preparations are made when siding the home (flashing, house wrap, J-channel, caulk, etc.). Where you'll often see plywood used instead of OSB is in roof sheathing, where the risks of moisture and leaks are greater. Plywood is often used in combination with OSB for wall sheathing. Many contractors opt for plywood on corners or anywhere a cut sheet must be used rather than a sheet with a factory sealed edge. Cut edges of OSB are especially vulnerable to water damage, which is why the plywood “pieced-in” method works so great. 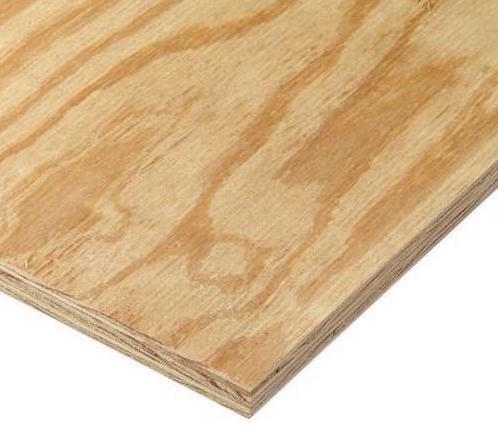 Plywood is made from sheets of wood that are peeled from trees and then glued together in layers that are laid perpendicular to each other (Source: Home Depot). 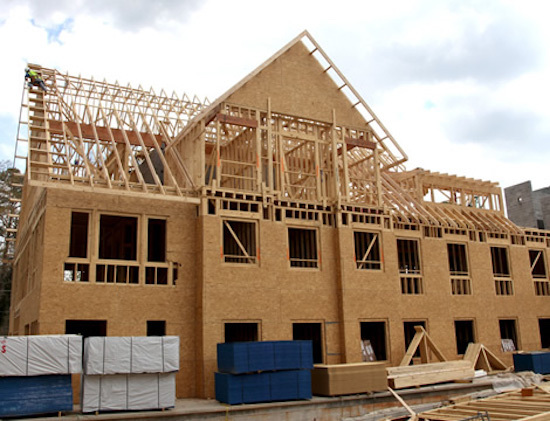 Plywood and OSB are largely considered the best wall sheathing choices because of their overall abilities to hold fasteners well, create a strong bond between studs, and provide some thermal advantages. The “big two” aren't the only selections available however. Structural fiberboard is one such option. This engineered product is made by grinding wood chips and other lumber waste and combining them all together with wax and resin. The finish is very uniform, and there are no knots or even grains as you'd find in “real” wood. 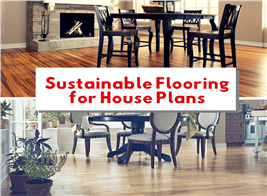 The product is not as dense as wood, though it is more thermally resistant and much more dimensionally stable (resistant to expansion and contraction) than wood products – and in most cases it is much more affordable. Unfortunately, it is not as strong as wood, either, and thus won't hold fasteners as well or provide much structural integrity between studs. Additional wall bracing may be required. Structural fiberboard is less dense but more thermally resistant than wood panels. Though considered "structural," these panels may required additional bracing to meet local building codes (Source: Home Depot). The use of diagonal tongue-and-groove (T&G) wood boards was standard practice for sheathing until after World War II, but it has waned since then. Solid wood sheathing is still a good (if pricey) choice to offer the best structural support, however. The boards are the best way to tie the header to the footer on a wall, not to mention the wall studs to each other – something to consider for houses in storm-prone areas such as Florida house plans. Diagonal tongue & groove boards are also extremely durable – the spruce, fir, or pine boards are more resistant to rot and swelling than OSB. They provide a very strong fastening surface as well. Solid-wood T&G boards (usually 1x6s or 1x8s) are best nailed diagonally across studs when used as sheathing. This technique provides the most structural strength across the framed wall. “Rigid foam,” as it's often known in the industry, may be made from polystyrene or polyisocyanurate. It is most frequently used for increased insulation on the exterior of the home because it eliminates the thermal bridge between the studs and wood sheathing. To get the most from installing foam board as sheathing, most contractors apply it directly over the OSB or plywood and then fasten the siding through it. Using a combination of wood panel and foam gives you better thermal protection (higher initial cost but more energy savings over time) and an adequate form of bracing from stud to stud. Foam board can actually be installed without any OSB or plywood at all, fastened directly to the stud. But this method will require some sort of bracing (let-in 1x4s, L-profile straps, inset panels, etc.) between studs. Using foam board alone as sheathing usually isn't recommended in high wind areas or where the interior surface of the product might drop below the dew point in the winter. 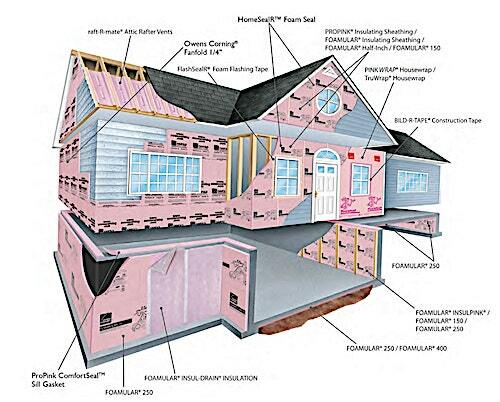 Polystyrene or polyisocyanurate foam boards, though normally applied over plywood or OSB panels for additional insulation, may be installed by themselves – but additional bracing will be required for structural stability (Source: Owens Corning). When it comes to wall sheathing, only a few special projects will require something other than OSB or plywood. However, it's nice to know you have a couple options just in case. Make sure to ask your contractor about what sheathing material will work best for your specific situation.